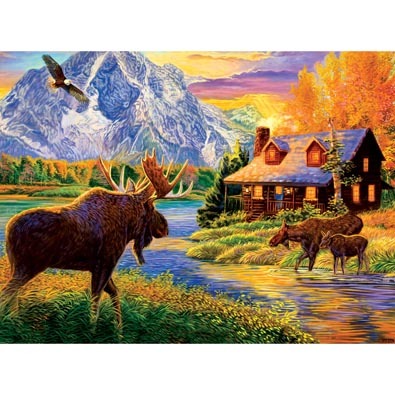 Autumn Glow is a 1000 piece jigsaw puzzle designed by artist Cory Carlson. Moose have gathered at a river near a log cabin for a cold drink. Autumn colours are vibrant at the base of the snow covered mountain. Available in two piece counts. This 1000-piece jigsaw is designed by Parker Fulton and measures 51cm x 68cm. Three puppies try their hand a gardening. Available in two piece counts.